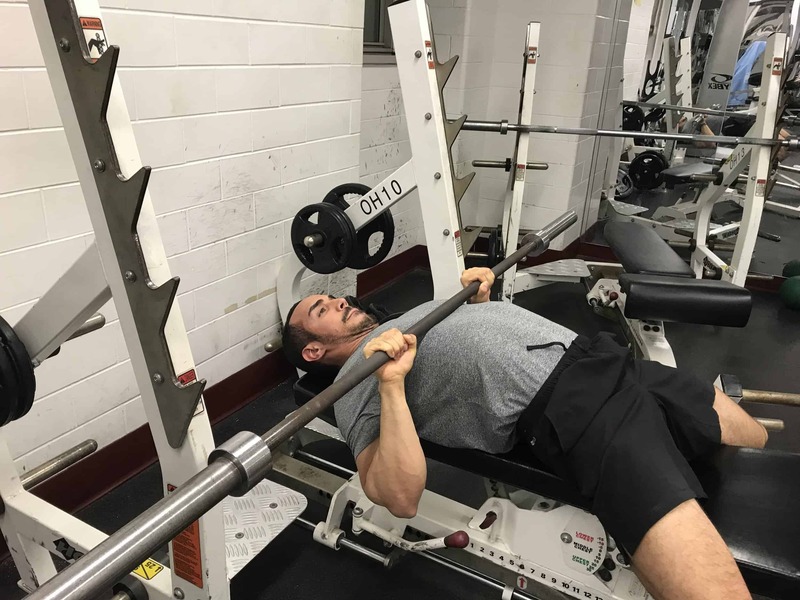 The Close-Grip Bench Press is one of the best Bench Press variations available. 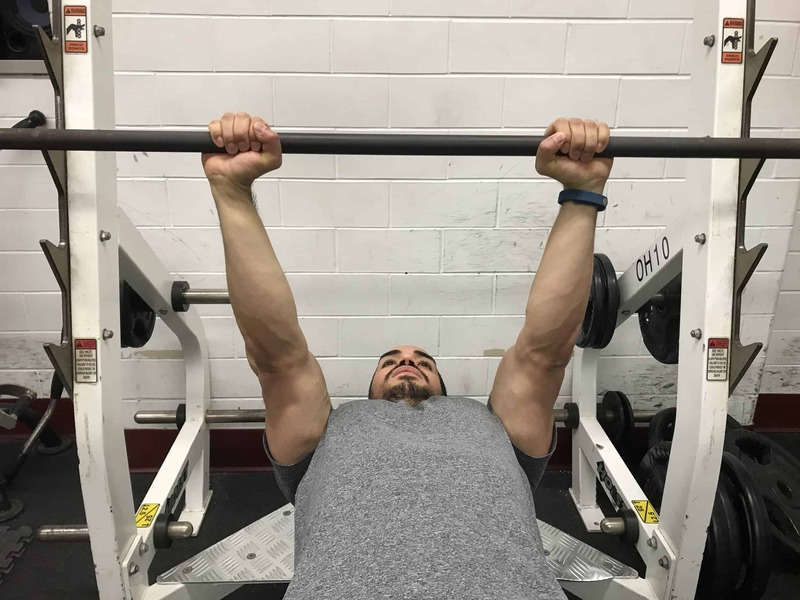 As the name implies, you bring your hands closer together when compared to the traditional bench press, with your index fingers right at the smooth part of the bar. This allows more emphasis on the triceps and shoulder muscles while de-emphasizing the chest muscles. All of the same exact mistakes of the traditional bench press applies here. You can see them here. Want to know how to use this exercise in your workout? Check out The Best Workout Template For Busy Individuals to learn how to integrate it into your training! How Close Should My Grip be on Close Grip Bench Press? There is a common misconception that your grip should be very close in the CGBP. Many bodybuilders have popularized the idea of almost having your hands touching during the exercise. This is unnecessary and can place a lot of strain on your elbows and your wrists. Any grip that is closer than your normal grip is considered a CGBP. A good rule of thumb is to hold your arms outstretched in front of you- and then focus on squeezing your armpits together tightly. Notice where your arms are. This is a good starting point. If for some reason you cannot perform this exercise, there are some alternatives to give you similar benefits. What If I Have Pain During Close Grip Bench Press? It should go without saying that you should hold off on performing this exercise if it causes you pain. If you have elbow pain during the close grip bench, it is likely due to overuse injury. The elbows can easily get inflamed from excessive pressing exercises. Give your elbows a break from all exercises that aggravate the pain and concentrate on stretching and massaging your triceps and your forearms. It is also important to perform forearm strengthening exercises. One my favorite exercises is placing a rubber band around your fingertips and spreading and collapsing your fingertips. I do not recommend you perform any major barbell or compound exercise on the smith machine. The smith machine forces your body into contours that are not natural. The fixed bar path does not allow you to express the full range of motion of your joints which can increase your risk of injury.